Dr. Stephen Wangen, co-founder and Medical Director of the IBS Treatment Center, and his staff have been successfully helping people resolve irritable bowel syndrome and chronic digestive problems since 1999. This success culminated in the 2005 opening of the IBS Treatment Center, the first clinic in the nation to focus solely on addressing this debilitating condition. Over the years the IBS Treatment Center has cared for a wide variety of patients. Some patients have had IBS symptoms so severe that they spent a considerable amount of time in the hospital. Others are no less frustrated with the impact that it is having on their lives. The thread that tied them all together was that they had never seen an IBS expert, a doctor whose only mission is to help people solve IBS. The IBS Treatment Center is proud to have cured thousands of IBS patients. Although the clinics are located in Seattle, Washington and Los Angeles, California, patients come to us from around the country and the world, or they use our telemedicine service and avoid the travel. The map below gives you an idea about how far people will travel to have this condition properly addressed. Patients have come from every state in the US and from over 30 countries! Dr. Stephen Wangen is the co-founder and Medical Director of the IBS Treatment Center. He is a licensed and board certified physician with a doctoral degree in naturopathic medicine and a bachelor’s degree in biology, with honors. He is the award winning author of two books on solving digestive disorders, and a nationally recognized speaker. He has been seen and heard on ABC, NBC, and Fox as well as public radio and television. He was recently named one of Seattle’s Top Doctors by Seattle Magazine. His passion for being a doctor and solving digestive problems comes from a lifelong obsession with optimizing health. Having suffered from IBS as a young man, Dr. Wangen dedicated his life to solving this complex problem. He now hand picks and oversees other fine doctors at the IBS Treatment Center for the new specialty of IBS medicine. Since 2005 the IBS Treatment Center, with locations in both Seattle and Los Angeles, has successfully helped thousands of patients from around the country and the world end their digestive problems. 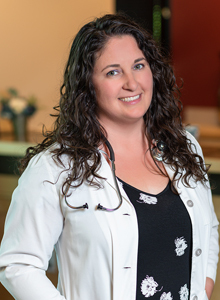 Dr. Lilla Diflorio is a long time resident of Los Angeles and is a licensed and board certified doctor in both California and Washington, with a doctoral degree in Naturopathic Medicine. She received her bachelors of Fine Arts degree in drama from NYU, and has worked in the tv industry in Los Angeles. Dr. DiFlorio, an IBS specialist, knows all too well that a happy digestive system is integral to both your physical and your mental health. and that healing the gut makes the whole person happy! 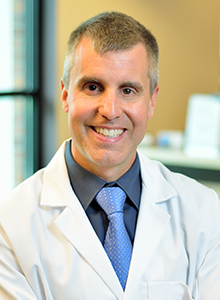 Originally from Italy, Dr. DiFlorio speaks fluent Italian and enjoys travel, good food and spending time with family. Dr. Ken Pentland is an IBS specialist and a licensed and board certified physician with a doctoral degree in Naturopathic Medicine. Dr. Pentland has a personal history of digestive problems which he solved, so he knows what it’s like to be suffering with IBS. He is a firm believer that digestive wellness is at the root of whole health. In a previous career Dr. Pentland worked as an engineer, having earned an Engineering degree from the University of Arizona. Therefore you can rest assured that he has a keen mind for sorting out complex problems. 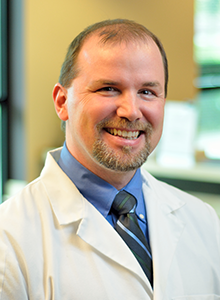 Dr. Pentland also enjoys playing classical guitar, backpacking, and spending time at home with his wife and two cats. 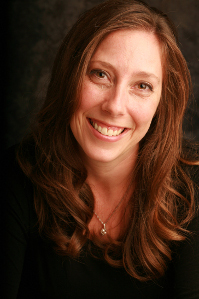 Last but not least, Dr. Pentland has a Masters of Science degree in Acupuncture and Oriental Medicine. 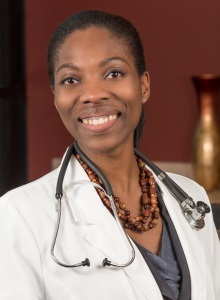 Dr. Adeola Mead is an IBS specialist and a licensed and board certified physician with a doctoral degree in Naturopathic Medicine. Dr. Mead is originally from Nigeria, and completed her First Class Honors Bachelor’s of Science degree in Biology at St. Francis Xavier University in Antigonish, Nova Scotia Canada. She has special interest in optimizing digestive health as a foundational step toward mental, metabolic and immune health. Dr. Mead also speaks Spanish and Yoruba, and has lived in Africa and Europe as well as Canada. She enjoys spending quality time with family, cooking, traveling, outdoor adventures, and live music. Becky Rajcich is an IBS specialist nutritionist and a state and nationally certified Registered Dietitian Nutritionist, graduating with honors with a degree in Science of Nutrition. Becky’s food philosophy is that everyone has the right to eat food that supports their bodies and tastes good, and her expertise is in helping our IBS patients make their diets practical. Becky specializes in taking challenging nutritional needs that can be overwhelming and breaking them down into simple, practical plans that can be incorporated into everyday life. She is also skilled at working with other dietary needs such as diabetes, weight loss, weight gain, disordered eating, low bone density, anemia, and other issues, integrating them with any food allergy or intolerance restrictions. She brings compassion and commitment to her work with patients and finds joy in helping with them to get through nutrition challenges. Becky also enjoys running, reading, cooking, and recipe hunting; and she loves spending quality time with her husband, young son, dog, cat, and chickens. Patients and non-patients alike are eligible to schedule an appointment with Becky to work specifically on their nutritional and dietary needs. 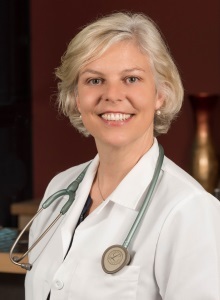 Dr. Jennifer Greer is a licensed and board certified doctor specializing in IBS and passionate about helping others achieve their personal goals and dreams by developing and maintaining great digestive health. She received her doctorate in naturopathic medicine with highest honors in Tempe, Arizona, and did her residency in Portland, Oregon. Prior to her medical training she completed both a bachelor’s degree in kinesiology and a master’s degree in higher education administration from the University of Arkansas and enjoyed a successful career in college athletics administration at several NCAA Division I universities. In her leisure time Dr. Greer enjoys traveling with family and friends, attending sporting events, cultivating her culinary skills, relaxing at the beach, and “Calling those Hogs” with her fellow Arkansas Razorbacks.